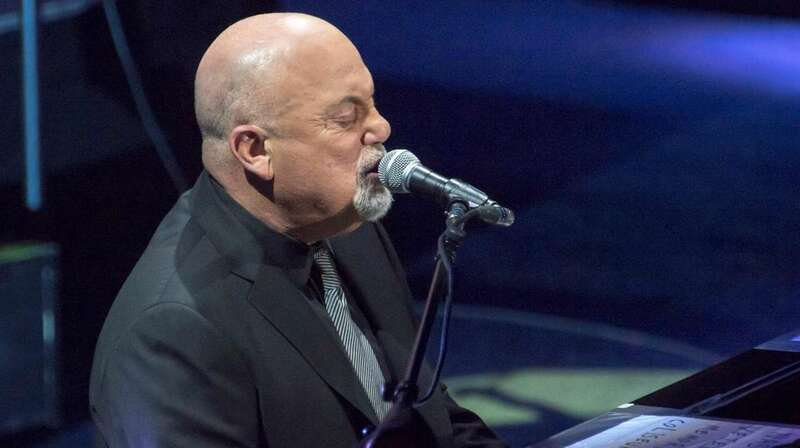 The last time Billy Joel sat at a piano inside the Nassau Coliseum, nearly two years ago, the arena was beloved but barely tolerated. The “old barn,” it was called. On Wednesday night, it was a fresh curiosity, both for Joel and the sold-out crowd that came to see him lift the curtain on a $165 million renovation. The experience was somewhat surreal for fans as well. So much of it was familiar — the expansive parking lot overlooking Hempstead Turnpike in Uniondale, the widened [but still tight] walkways that struggled to manage 14,000 people. But much more was new: the intricate exterior facade, composed of 960 aluminum fins designed to evoke Long Island’s coastline; the decorative ceiling beams running along the concourses; the concessions run by popular and boutique Long Island eateries that replace the often-bland offerings of the old Coliseum. “It looks beautiful,” said Jack Pellicano, 42 of Deer Park. His friend, William DeGeorge, 34, of Bay Shore, had a humorous take on the arena now formally known as NYCB Live’s Nassau Veterans Memorial Coliseum. “It looks like a Slinky,” he said. Joel himself had jokingly compared the shiny new exterior to a “Jiffy Pop bag.” But as he got deeper into his set Wednesday, he repeatedly complimented the arena’s look and sound. Brooklyn developer Bruce Ratner removed roughly 3,000 seats from the old Coliseum’s capacity, adding an additional perimeter for patrons to walk without re-entering the main concourse. Many took advantage of that before the show started, taking selfies overlooking the stage where Joel would play for nearly three hours. Down the nearby escalators, Nassau County Executive Edward Mangano took a moment before the show to reflect on the two-year process that gave the arena, built in 1972, its extreme face-lift. The original Coliseum, which seated 16,700, has been downsized to 13,900 fixed seats. The capacity can be increased, officials said, to 14,500 for basketball, boxing and mixed martial arts. In addition to Joel, upcoming concerts and events include Stevie Nicks, Idina Menzel, Marc Anthony and WWE Monday Night Raw. Barbra Streisand, Barry Manilow, Bruno Mars and the final performances of the Ringling Bros. and Barnum & Bailey Circus will also appear in the coming months. The night was celebratory, so there was no mention of what was missing: the New York Islanders. The hockey team, which now plays in Brooklyn, is most notably no longer represented by the banners commemorating their four Stanley Cup championships that once hanged from the arena’s rafters. Instead, Joel played below a roof with a single banner: one marking his 33 sold-out shows at the coliseum. “I’m calling it the first set at the Vet,” said Howie Kurtzberg of Merrick, who attended with his wife. Mangano has urged the Islanders, who are reportedly considering exercising a clause in their Barclays lease that would allow them to leave Brooklyn by early 2018, to return to the Coliseum. Kurtzberg is among the many hockey fans wishing for a return. “Hopefully, we’ll get the Islanders back, too,” he said.